How to reset the terminal properties and preferences? I fooled around with the colors and stuff, in the terminal, and now want to go back to the maroon and white default config of the the terminal. What files do I have to delete? 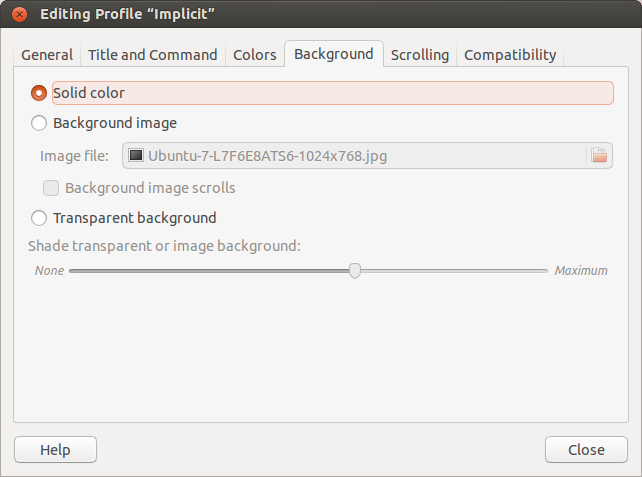 In terminal click on the 'Edit' menu then 'Profile Preferences'. It will pop up the 'Editing Profile' Window. to reset the color make sure that you have selected the check box named 'Use colors from system theme' in the 'Colors' tab. This simple command works in Ubuntu 16.04. If you want to do a complete reset of the Gnome Terminal settings, you can remove the ~/.gconf/apps/gnome-terminal directory which contains them. I would close all terminal windows on your desktop. Then switch away from the GUI with Ctrl+Alt+F1 and login on the console. 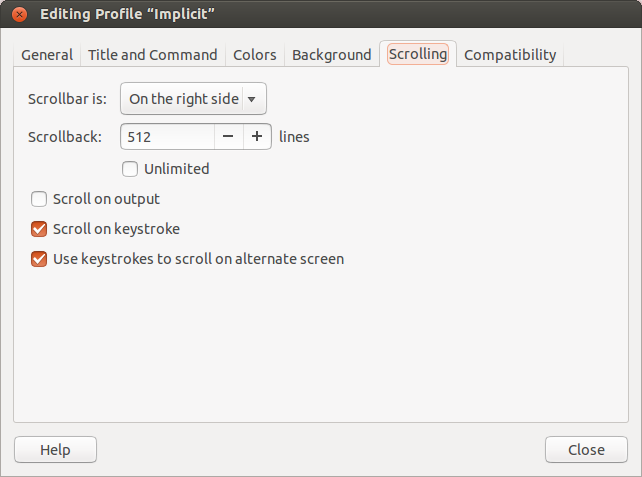 Now, you can switch back to the GUI with Alt+F7 or Alt+F8 and launch the terminal. It should be reset to system default settings. In order to reset terminal , one must understand first what part you want to reset exactly - do you want to reset graphical looks ? do you want to reset the shell ? First of all, default terminal in Ubuntu is gnome-terminal so for 99% of new users, I assume you're using gnome-terminal. 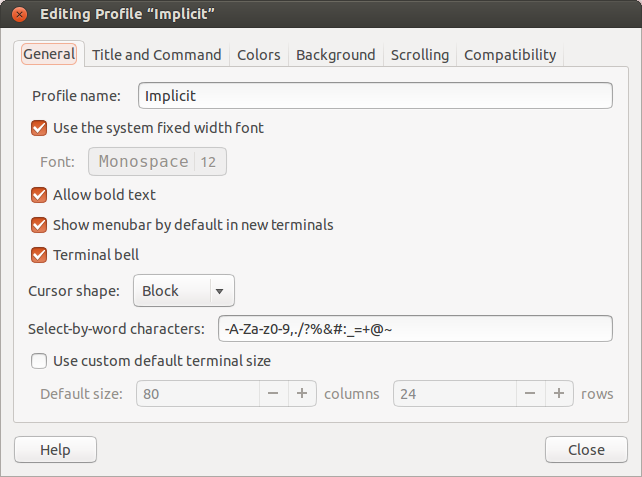 Advanced users, who use something other than gnome-terminal will have to refer to manuals of their respective terminal emulators. Alternatively, you could use GUI tool called dconf-editor. So you have changed some setting and now gnome-terminal doesn't work. Great, what now ? Luckly, there's couple of ways to get around this. One, start xterm. 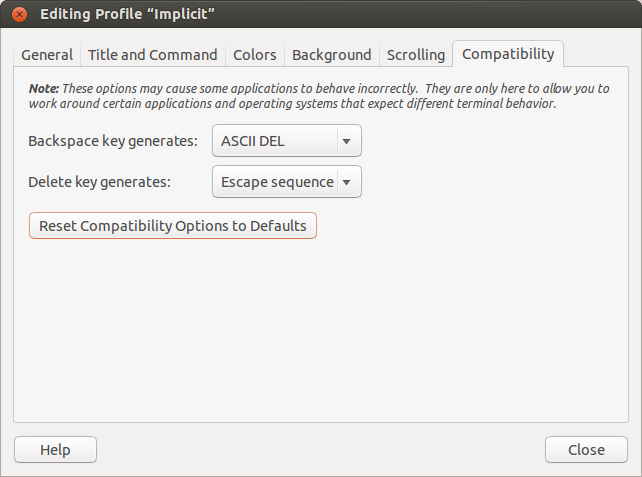 By default, Ubuntu comes with two terminal emulators. xterm is the original terminal emulator for X11 GUI and has been around since long ago, when dinosaurs of Unix systems roamed the earth. You can use it to call the dconf command mentioned above, as well as reset your ~/.bashrc config file. Another approach, would be use dconf-editor tool, again mentioned above. If you don't have it installed - use Software Center to get it. I did something to my prompt , I want it to look like user@hostname:~$ again. 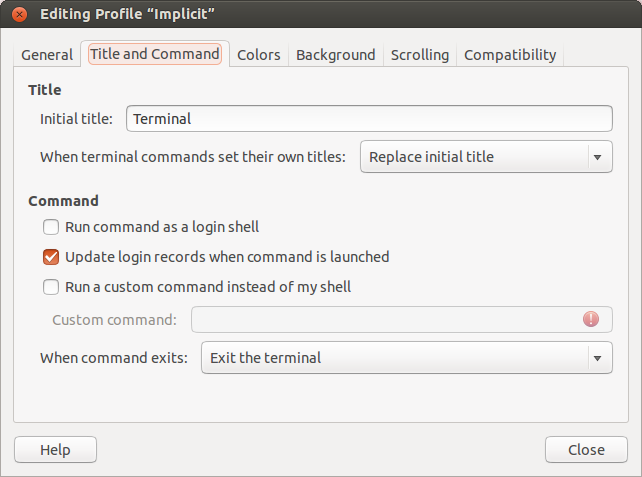 When you are in Terminal, go to Edit > Profile preferences, or press Alt+E-O to open the Editing Profile dialog. After make sure to select everything as below images. I played with it which resulted in removing all colors.. and kept me with monochrome..No difference between file and directories. Not the answer you're looking for? Browse other questions tagged gnome-terminal or ask your own question. I messed up my terminal. Is there a way to return it to default? How do I use and configure Terminal Colours? 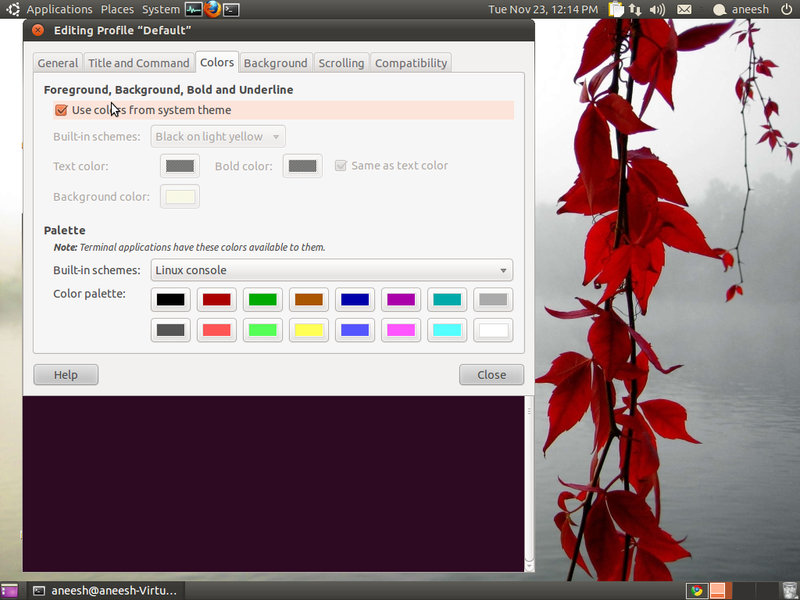 Where are the colors for the system theme (or just the gnome-terminal) specified in Ubuntu 14.04? How to have git and virtualenv aware colors in terminal? 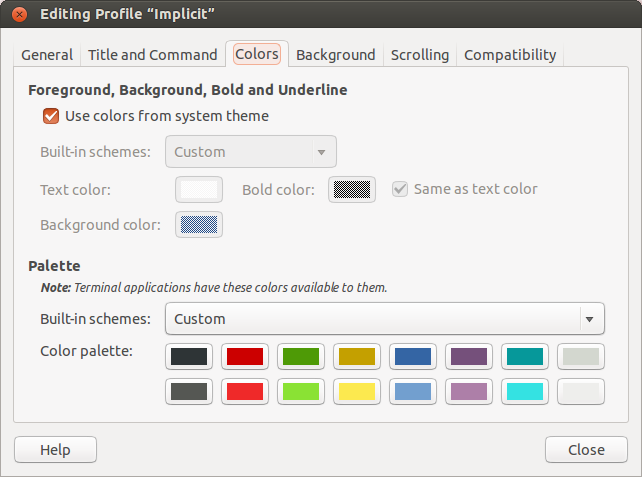 How can I set background and foreground terminal colors from CLI in Ubuntu 15.10?